This review was also published on The Latest. Loadout‘s goofy style and clever gameplay make it damn good fun, but its relatively light selection of content makes me question its longevity. It’s a free-to-play, multiplayer, third-person shooter, with the central gimmick being its highly customisable guns. 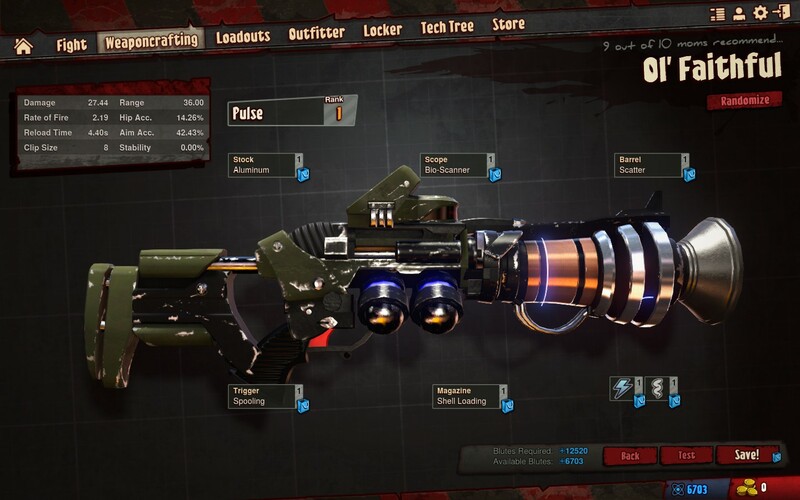 Instead of having pre-set classes or weapons, Loadout invites you to define exactly how you want to play, by letting you build your own guns from a dizzying array of different components. The variety is impressive, with games often featuring electric shotguns, incendiary laser beams, x-ray sniper rifles, six-barreled homing rocket launchers, and all manner of other bizarre machines of death. 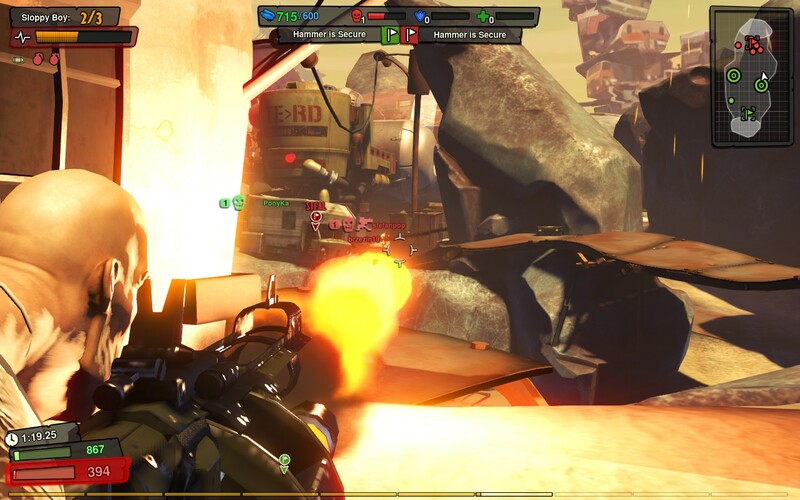 It’s a fun system that creates an agreeable sort of chaos in each match, but at times it is hard to shake the feeling that you’re probably best off just with a standard assault rifle, as you are in every other shooter under the sun. The crazed weapon variety fits nicely into the game’s overall tone. It’s got a great, over-the-top sense of humour, and a bright, cartoony art style, with fluid, expressive animations. It all clicks together to give the game a really light, silly atmosphere, even as you’re charging across the battlefield to blow each other to bits. Those of a sensitive disposition, however, may find that it pushes the boundaries a little too much – though rendered in a light-hearted way, there’s plenty of gore and gross-out moments that won’t be to everyone’s tastes. The gameplay won’t be a revelation for anyone, but across its selection of modes there are enough clever twists on standard formulas to make things feel fresh. Particularly fun is the Annihilation Mode, which mashes-up Capture The Flag and King Of The Hill with some light additions from the explosively popular MOBA genre (to which League of Legends and Dota 2 belong). Controls are a pleasure – shooting is tight and responsive, and the characters have a bouncy feel that allows you to athletically clamber up and down the highly vertical level terrain. Agreeably, Loadout’s free-to-play business model feels totally uncynical. Real money can only be spent on cosmetic items, loadout slots, and other things that don’t directly impact the game experience, preventing it from becoming ‘pay-to-win’. The only unfortunate consequence is that hats, costumes and the like being restricted to microtransactions exclusively leads to the majority of the playerbase simply using the relatively bland default appearance. The resulting sameyness among characters runs counter to the otherwise exuberant art style. Loadout’s biggest problem is that it doesn’t quite have enough maps and modes to sustain interest. Multiplayer games need serious variety and depth to have a real lifespan, and I worry that Loadout too quickly becomes repetitive. While it lasts, however, it’s uncomplicated fun with a zero cost of entry. 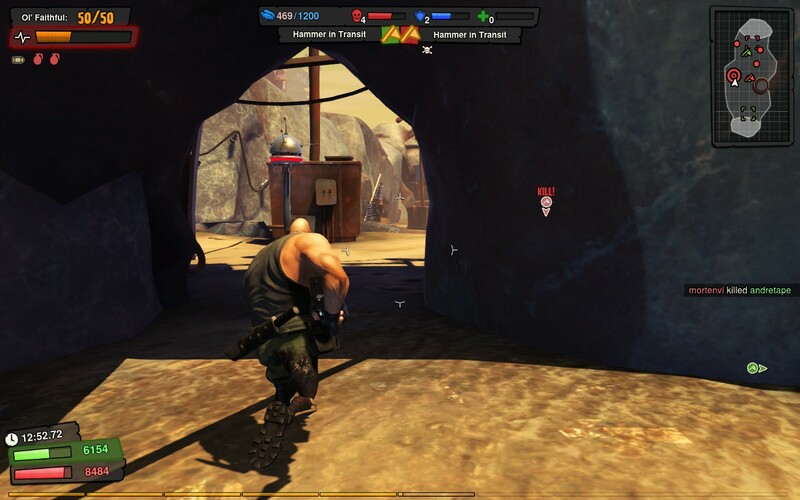 Loadout is available now on Steam for Windows PC. It’s free-to-play, with microtransactions.